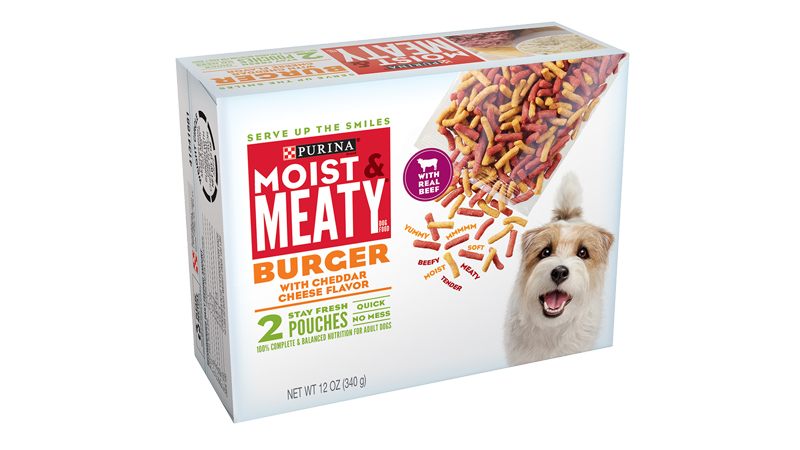 Moist, tender pieces with real beef and cheddar cheese flavor that is 100% complete nutrition for adult dogs. We tried several different kibbles for our Shih-Tzu, including those with chewy morsels. But she would eat the morsels and leave the kibble. So we switched to Moist and Meaty and she loves it. And it's easy to manage in the individual pouches. Grimm is super picky and this is definitely his favorite over dry and wet food! 4 flavor options and really affordable! I mix it in with his dry food and he just picks the Moist &amp;amp; Meaty pieces out. He always knows when I have a pouch in my hand too, he comes running into the kitchen like, it&#039;s crazy. Awesome!